﻿ Part 2: Considering The Right Surface Finish… | The Great Shutter Co. In general, most blind and shutter manufacturers can’t change the finish of their window coverings. Most pick a neutral finish. This means not too matt, but also not too shiny. This can seem quite limiting at first, however, to a certain extent you can influence the finish to your decor desires. All MDF window shutters in our Alton Shutter Range have a glossier finish. This is due to the fact that they have a vinyl type coating which is extruded onto the MDF. However, MDF shutters come in a limited number of colours (but, excitingly we have some new finishes in 2019). 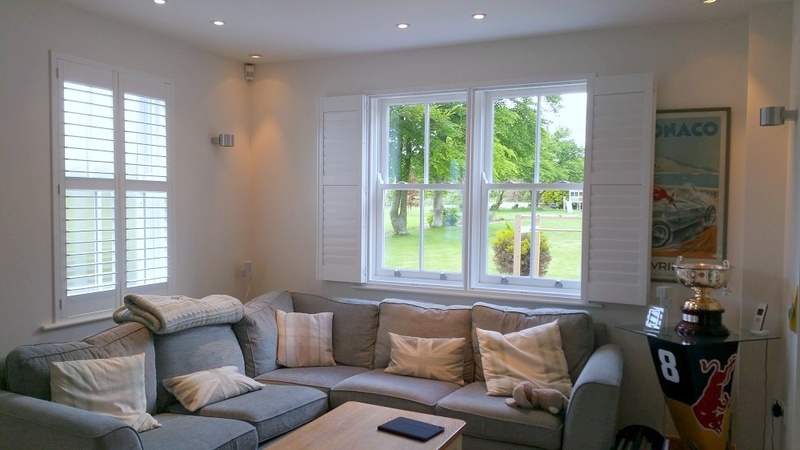 The Winchester Range are our White Teak Window Shutters. Our FSC certified all wood shutters have a more matte finish. This is because they are spray painted. This range is also an all wood shutter but because it’s made from Paulownia, which is a softer wood, the paint requires a hardener. The hardener used in our Romsey Range adds a glossier finish to the product. The all wood shutters can be custom coloured. At The Great Shutter Co. it’s only a small surcharge of £200 per colour. Please just note these are not the manufacturers colour but a spectrograph match and so there can be a variance. As discussed in Part 1 of the series, Picking The Perfect Colour For Your Window Shutters Or Blinds, the variance of colours can be impacted upon by the finish, i.e. the difference in the finish of your colour sample versus the finish of the shutter matter vs. vinyl, chalk content, etc. 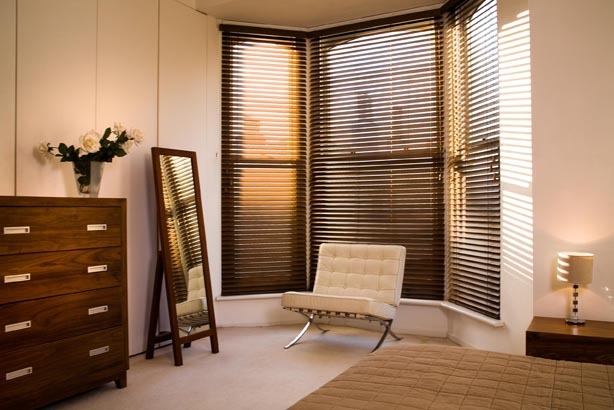 If you do want to change the colour of your blinds from room to room, it’s best to work with the natural light. For example, if your room is south facing and has natural light coming in, then a softer white may work better. The key factor to remember is to keep your colours consistent on aspects of the house so that your kerb appeal is kept to the max and you don’t have a mish-mash of colours. This can look a bit scrappy from the exterior of your home. Remember you are less likely to change your windows than the colour of your walls. If you are ever uncertain about a colour or finish, match your shutters with your window frames. White UPVC windows normally benefit from pure white shutters, but modern windows have a greeny/grey tint, so make sure you put the sample shutter panel up to the window and have a look from the outside. In 2018, there is a growing trend for anthracite grey windows in both aluminium as well as painted wood and UPVC. We advise to choose a softer white for your shutter. This is so it won’t look that stark against the grey of the window in comparison to a pure white. Shutter colours that have light tinge of grey can look good with these on-trend window frame colours. If you have wooden windows that you have had professionally decorated, or even decorated yourself, it is worth taking a little more time to decide on your shutter colour choice to ensure they will be a lasting fit. You can really make a big difference to how your house looks by choosing complimenting colours between your window shutters or blinds, and colour of your external woodwork. 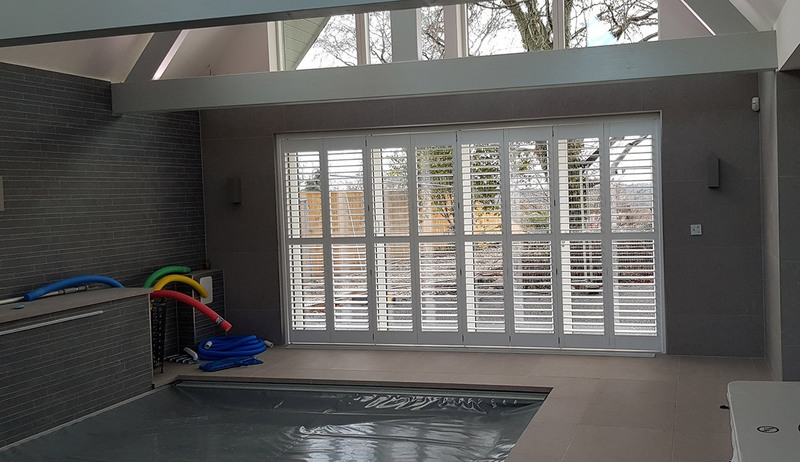 This is a different point to selecting how the shutters will look, specifically with regard to the colour of the shutter and how it looks from both in and outside of your property. 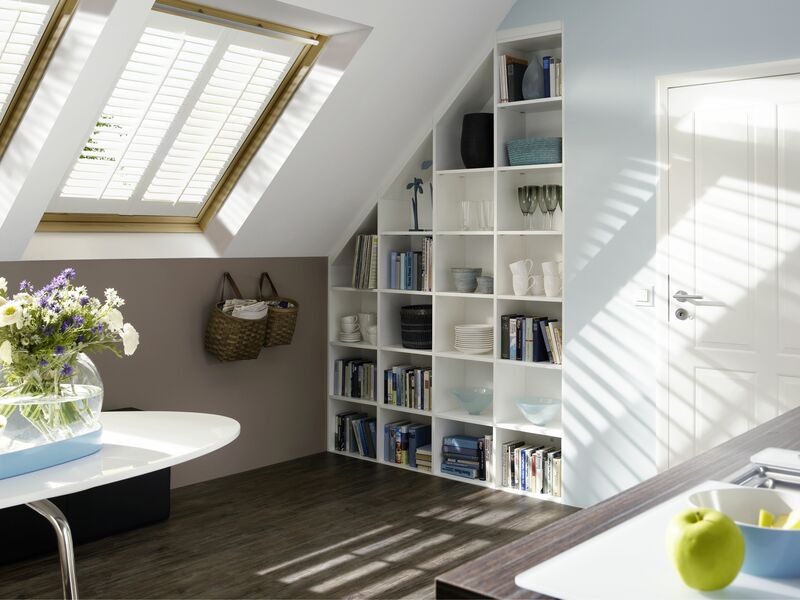 When you are thinking about wooden plantation shutters, the level of light will be impacted greatly by the colour of shutters you put in to a room. It’s surprising quite how much light a darker shade of shutter can take out of a room. For North and East facing properties with small to medium sized windows, we would urge customers to think very carefully about choosing anything other than a white or cream colour. In most cases, adding a white shutter and angling the louvres can significantly increase the feeling of lightness in the room. This is because of the reflection factor when the louvres re angled to tilt light into the room. South or West facing windows, or larger windows in rooms with other aspects are well suited to taking a darker coloured shutter. There will already be plenty of light pouring in, but they will also draw in light and amplify the brightness in your room when simply angling them at the correct slant. And when the light is no longer wanted, simply set the louvres to the shut position and your room is protected from any light glare at all! There are a plethora of factors that can affect the colour, finish and effect of your window shutters and blinds. However, there are many things you can do beforehand to ensure you are picking the right window shutters to last for years to come. Whether it’s to brighten up a small room, or to add a contemporary feature to your home decor, there’s a window shutter for everyone.